Valery Zorkin | Russian Legal Information Agency (RAPSI). Zorkin was born Feb. 18, 1943 into a military officer’s family. 1964 – He graduated from the Moscow State University’s Law Department with a major in jurisprudence. 1964-1967 – Zorkin served as a senior instructor at the Moscow State University’s Law Department. 1967-1979 – He worked as an associate professor at the Moscow State University’s Law Department. 1967 – Zorkin defended his dissertation and received his Doctor of Jurisprudence. 1978 – He defended postdoctoral dissertation. 1979-1986 – Zorkin served as a professor at the Soviet Interior Ministry Academy’s Constitutional Law and Theory of State and Law Department. Since 1986, he worked as a professor at the Soviet Interior Ministry Higher Distant Learning Law University’s State Law Disciplines Department. 1990-1991 – Zorkin worked as the head of an expert group at the Congress of People’s Deputies’ Constitutional Commission. Oct. 29, 1991 – He was elected as a member of the Russian Constitutional Court by the Fifth Congress of Peoples Deputies, receiving 757 votes. Nov. 1, 1991 – Zorkin was elected as the chairman of the Constitutional Court by secret ballot for an indefinite term at the first meeting of the court. Oct. 6, 1993 – He resigned as the chairman of the Constitutional Court, remaining a court member. 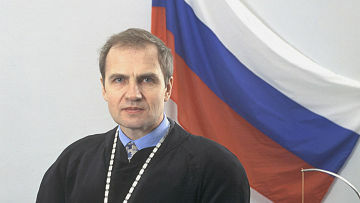 Feb. 21, 2003 – Zorkin was elected as the chairman of the Constitutional Court, reelected in 2006 and 2009. Zorkin is a Distinguished Lawyer of Russia.